In collaboration with Southern Season, the Raleigh Wine Shop, Bond Street Wines, Asheville Wine Market, Foxcroft, and the Giorgios Hospitality Group. With season 2020 virtually sold out already, I decided to put this tour on the market so that you may experience this amazing trip without having to wait until 2021, which seems quite far away with the uncertainties that come with such distance. 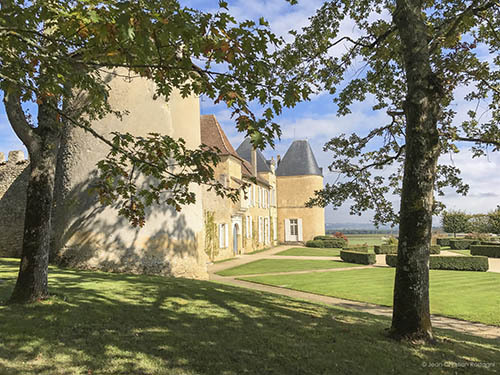 This tour features amazing accommodation, including a 16th century castle-hotel, exceptional wines with superb food pairing, and a rare insight into French culture and history going back 36,000 years. I am notably excited with the new superb and innovative wines that I have added this year to this itinerary and Contrast Wines portfolio, including the best Chateauneuf du Pape I know, a 94 Parker rating, and wines from the Baux de Provence, organic, a new appellation that shines very brightly in rosé and white. In collaboration with Southern Season, the Raleigh Wine Shop, Bond Street Wines, Asheville Wine Market, and the Giorgios Hospitality Group. This is our most popular tour which will be even better this coming season, featuring amazing accommodation, including a 16th century castle-hotel, exceptional wines with superb food pairing, and a rare insight into French culture and history going back 36,000 years. 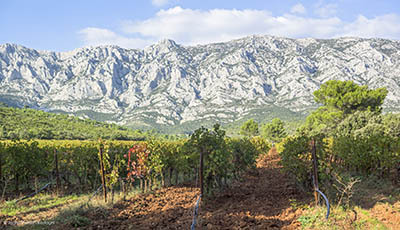 I am notably excited with the new superb and innovative wines that I have added to this itinerary and Contrast Wines portfolio, including the best Chateauneuf du Pape I know, a 94 Parker rating, and wines from the Baux de Provence, organic, a new appellation that shines very brightly in rosé and white. A magnificent tour of the Bordeaux region in the beauty or springtime. We will visit some of the greatest castles and grand crus, as well as wineries that I have selected for their stunning quality and value. We will live in Bordeaux's historic center for 10 days of discovery of this world's wine epicenter which also harbors many stunning historic sites. 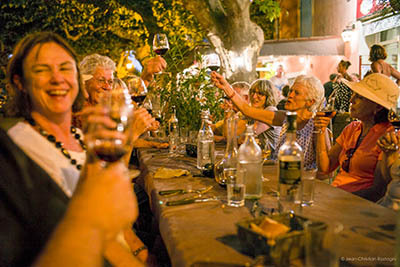 This very tour will benefit from the company of Michael Maller, wine buyer for Giorgios Hospitality Group. Michael is revered for his wine culture and palate, paired with Serge Opillard, the Premier Sommelier de France who seconds me on the tour, you may most certainly expect a supreme wine experience.